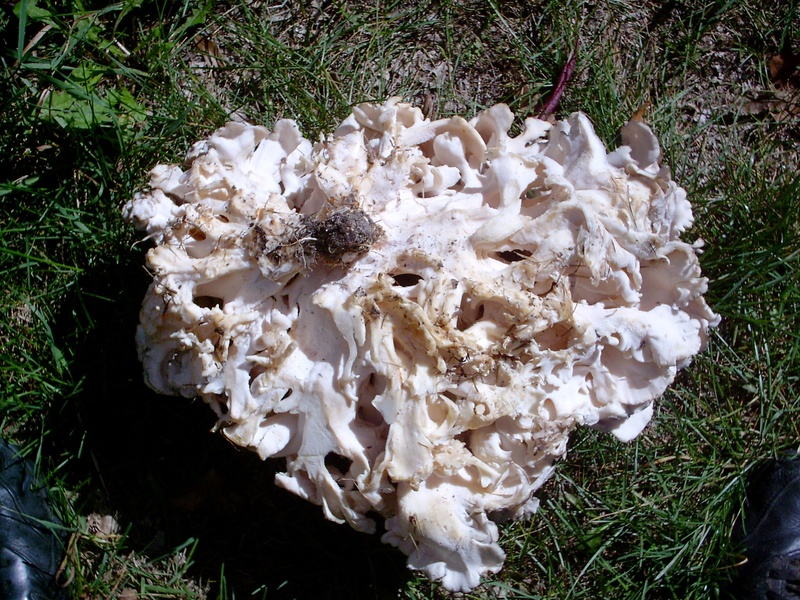 Hen of the Woods or, Maitake, is a great mushroom with a excellent texture and many uses. 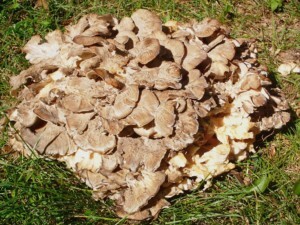 They typically grow in the fall and like the south face side of a big Oak tree. They will grow from the ground over the roots of the Oak. When you find one you usually have plenty to use and store for later use. A good sized Hen can be 4-5 pounds. I like to dehydrate some and freeze the rest. 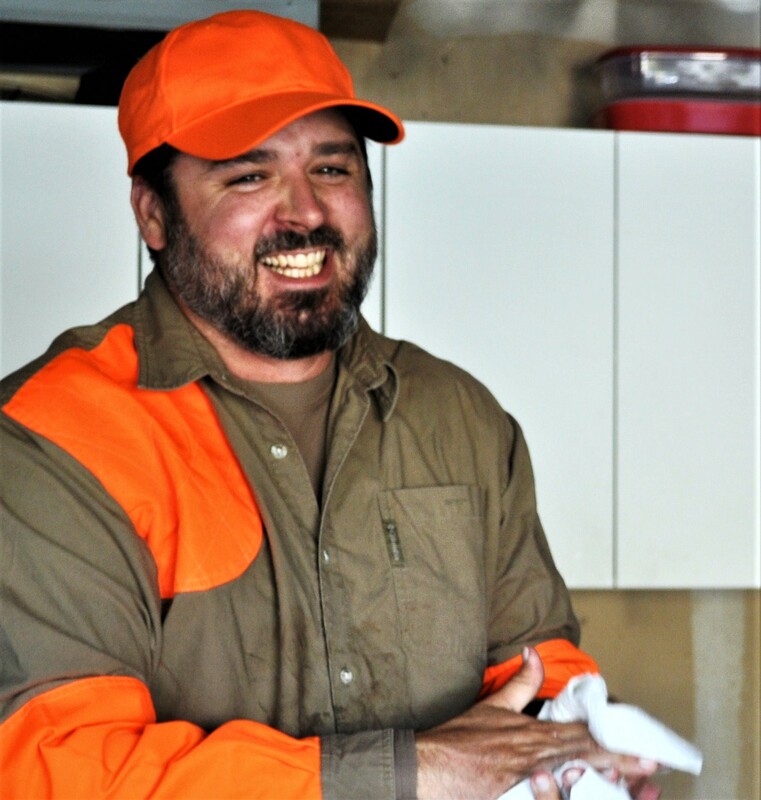 When I freeze them, I pack the mushrooms into a one-quart freezer-safe container and then cover them with water and a teaspoon of salt. Then when you thaw them out to use them, the water you put in has magically turned into a mushroom stock of sorts. If you ever find a Hen of the Woods make sure you keep track of where you found it. They have a tendency of growing back in the same spot year after year. Toss the mushrooms with the oil, bacon drippings, salt, pepper and thyme and then bake in a 325 degree oven for 50-60 minutes. The mushrooms should be slightly crisp on the edges and have a nice meaty bite to them. 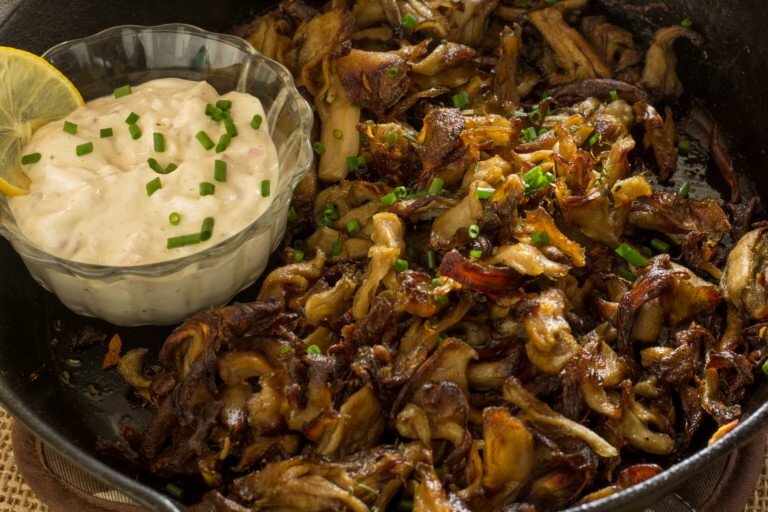 Blend together and serve the mushrooms with the aioli and enjoy. Tips on Cleaning Wild Mushrooms: Set mushroom in a large bowl and pick off all the acorns, leaves, and twigs. Brush off dirt with an unused paintbrush. Using a sharp paring knife, cut off the dirtiest parts of the base, and move mushroom to a clean cutting board. Cut into smaller pieces, 1-3 inches wide depending on your purpose. Wipe off any remaining dirt on each piece with damp paper towels.